1. 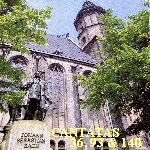 CANTATA 131: Aus der Tiefe ruf' ich, Herr, zu dir - Mühlhausen 1707. Text: Psalm 130 and Stanzas 2 & 5 from the Song “Herr Jesu Christ, du höchstes Gut” by Bartholomäus Ringwaldt, 1588. 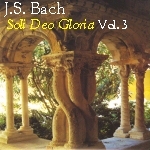 CHORUS: Unser Mund sei voll Lachens / Tenor Aria: Ihr Gedanken und ihr Sinnen / Bass Recitative: Dir, Herr, ist niemand gleich / Alto Aria: Ach Herr, was ist ein Menschenkind / Soprano-Tenor Duet: Ehre sei Gott in der Höhe / Bass Aria: Wacht auf, ihr Adern und ihr Glieder / CHORALE: Alleluja! Gelobet sie Gott! 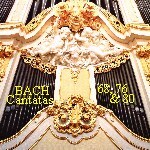 Three really splendid, though quite varied cantatas here. 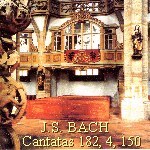 Cantata 131 is a very early work, built after Buxtehude, short sections inter-connecting. 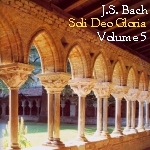 It is a very powerful work and one of our favourites. 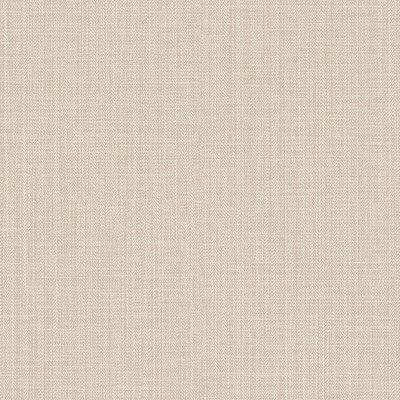 The occasion of the work is not stated but the text suggests a Penitential Service. 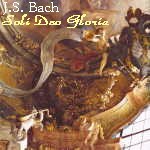 This might be connected with a serious fire which engulfed the town shortly before Bach took up his position there. A major part of the inner city was destroyed and many families were left homeless. 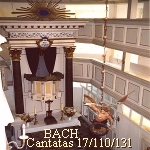 Both 17 and 110 date from Bach's Leipzig years. 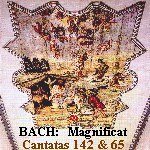 The Opening Chorus of Cantata 17 was later used by Bach in one of his 'Shorter Masses' BWV 236, a sure sign that Bach considered it one of his best compositions! 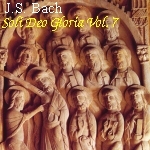 (Check the Four Shorter Masses on a double CD, BACH 7012). 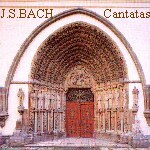 The Opening Chorus of Cantata 110, a lively Christmas cantata, will be recognized as a derivation of the opening from the Orchestral Suite BWV 1069. 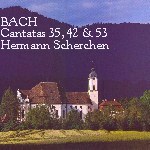 Performances of all three are by the Windsbacher Boys' Choir under their director Hans Thamm.